Hello, this is Mitsue. How are you doing? Are you enjoying our News Letters? I hope you could feel our daily life in Japan, and find something through Japanese culture and tradition. 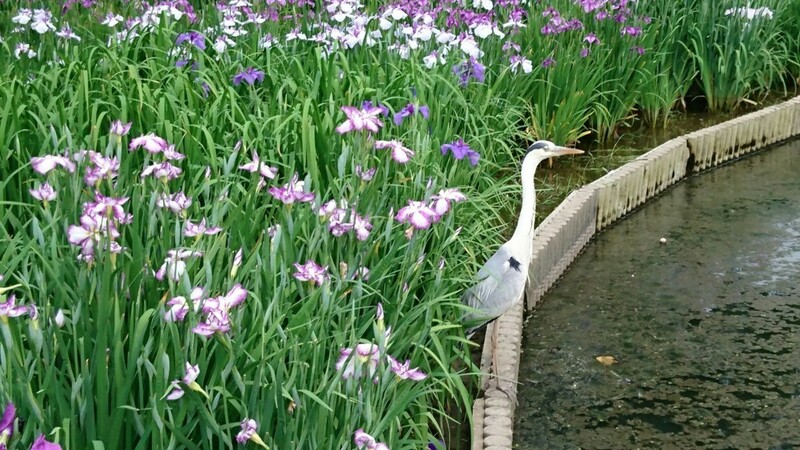 Two weeks ago, I visited Shirasagi(white heron) park in Sakai city, southern part of Osaka. 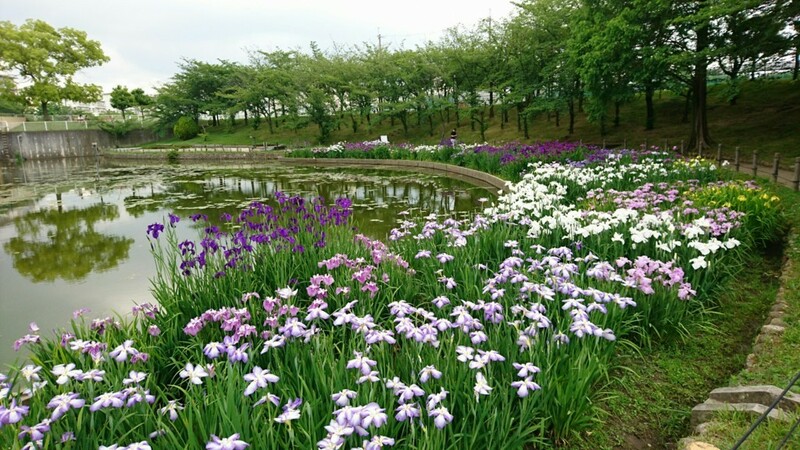 It is famous for 'Hana-shobu'(Japanese iris) and about 100 kinds are planted on waterside. Hana-shobu is fully blooming from rainy season to early summer. Its beautiful shape and colors are very popular among Japanese. There are many kimonos and obis with Hana-shobu design. The Language of Flower of it is 'good news' and 'message', so it is a symbol of good fortune. 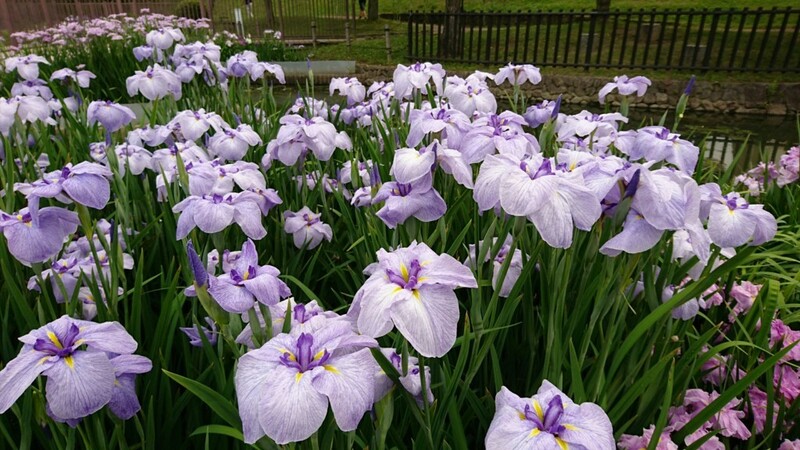 'Ayame' and 'Kakitsubata' are very similar flower to 'Hana-shobu'. The difference of them from Hana-shobu is having leaf vein. I was surprised to see so many kinds of Hana-shobu and I enjoyed the beautiful colors. I found a heron beside the stream! First, I thought it was a fake...but it flied away. Well, I felt like I'm in the world of folktales. Talking about folktales, 'Tanabata' (star festival) is held on July 7th in Japan. 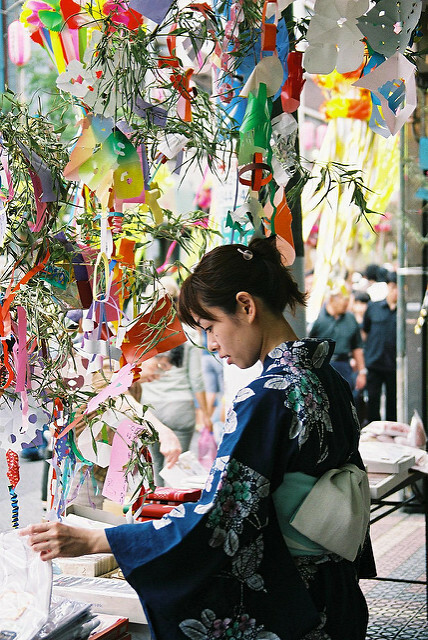 On this day, we display bamboo grass with strips of paper and ornaments. We write wishes on the strips, because it is said that wishes come true! 'Tanabata' is originated from the Japanese folktale of 'Oriheme'(Vega) and the 'Hikoboshi'(Altair), who are separated by the Milky Way. When 'Hikoboshi'(Altair) met 'Oriheme'(Vega) for the first time, they were attracted each other. Then they had been in love and did not take care of their cows. So a disease had spread over them. The king got angry and separated them by the Milky Way. However, they deeply regretted themselves and the king allowed them to meet only on the night of July 7th. Oh yes! July 7th is mid rainy season in Japan, so we rarely see the wonderful reunion in the night sky. 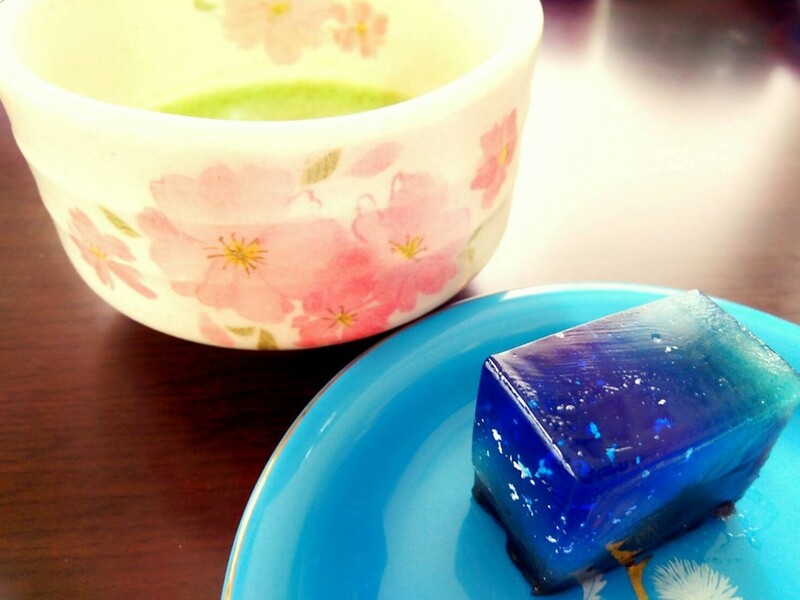 Anyway, I like enjoying tea with delicious Japanese sweets. The photo is a beautiful sweets named 'Milky way'. I have already enjoyed it in advance thinking about the Vega and Altair. It was so delicious! Thank you for reading through. Hope you have a nice day! I"d like to introduce a fabulous piece. Please take a look!